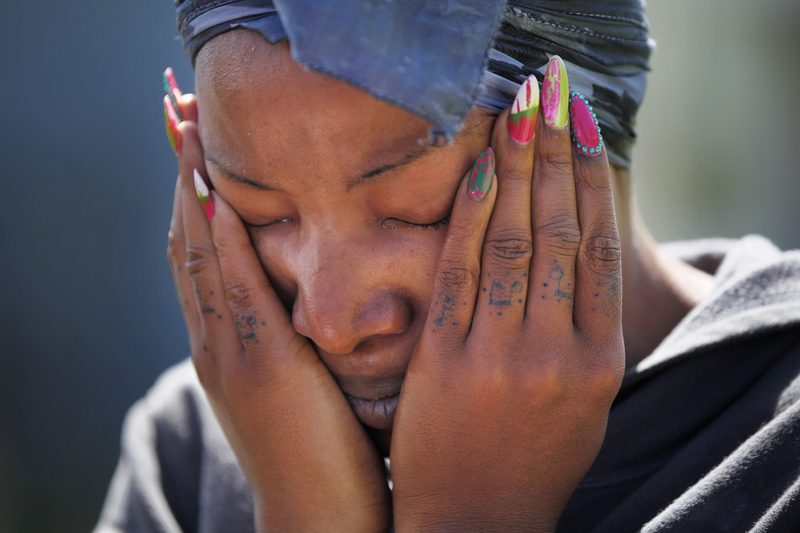 Davina Brooks, 26, becomes emotional as she tells media about getting the call that the apartment her nephew lived in was on fire as she stands at the scene in Sunnydale April 16, 2014 in San Francisco, Calif. There has been one confirmed death as a result of the Wednesday morning blaze. Brooks, who now lives in San Mateo, rushed to the scene as soon as she heard, fearing that her 3-year-old nephew didn\'t make it.